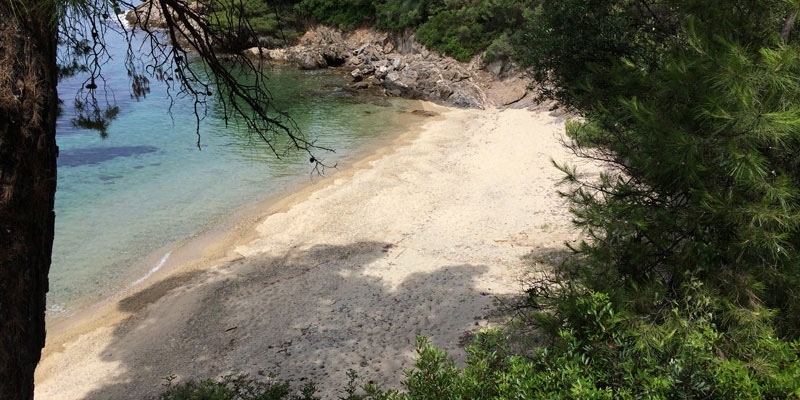 The Porto Carras hidden beaches are 25+ small isolated coves that are part of the Porto Carras resort. 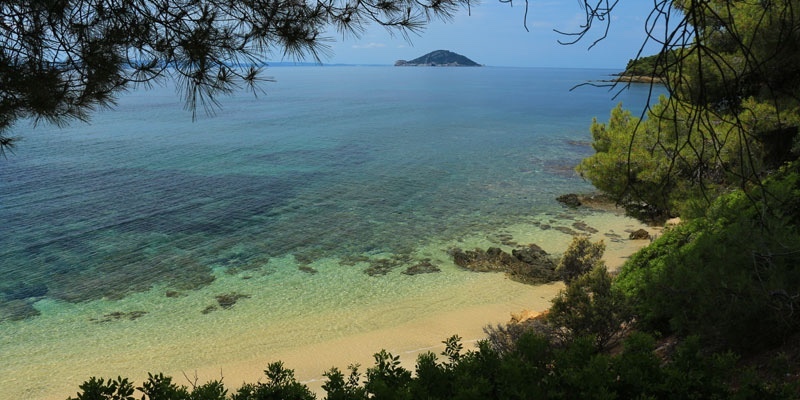 The property continues for 9 kilometers along the coast and allows the guests to even book their own private beach. Each one is in a spectacular setting among pine trees and often hidden from public view. 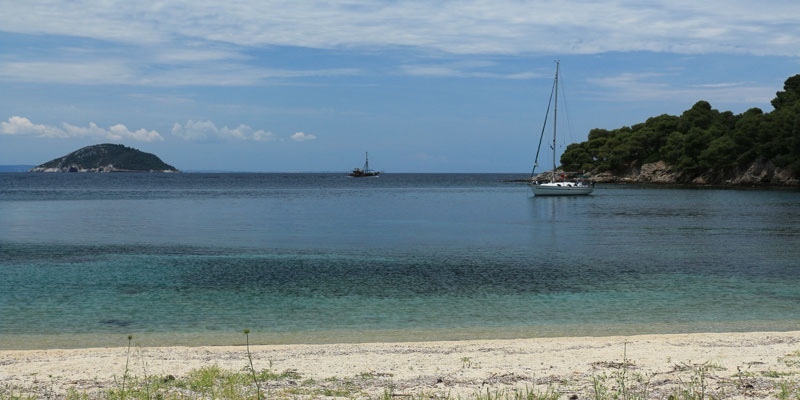 Sometimes you will see a sailboat anchored off shore having found their little paradise. 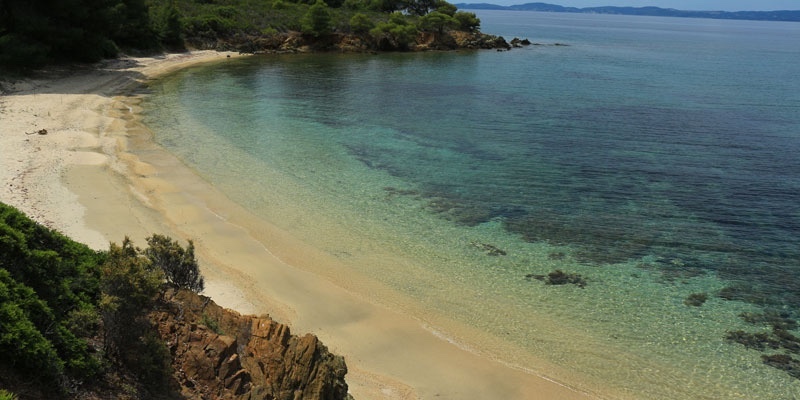 These hidden beaches are for the most part undeveloped. Some of the closer ones to the resort may have umbrellas and sun-beds. The beaches vary between sandy coves and pebble. The water is often shallow and good for taking a refreshing dip. 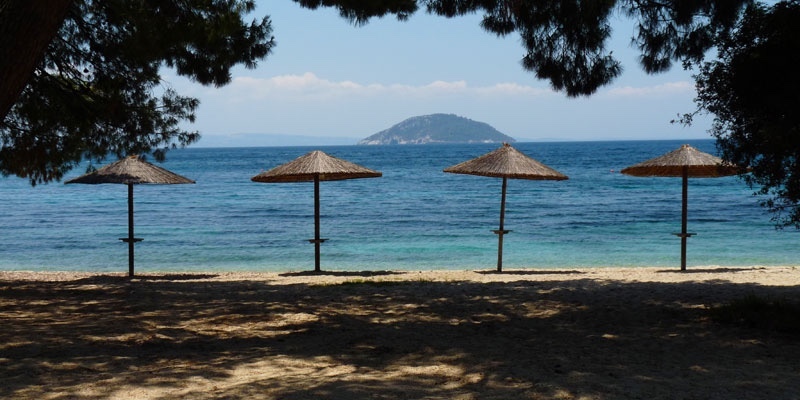 Some beaches have a pebble or a rock sea-bottom so it is always good to bring along swimming shoes. 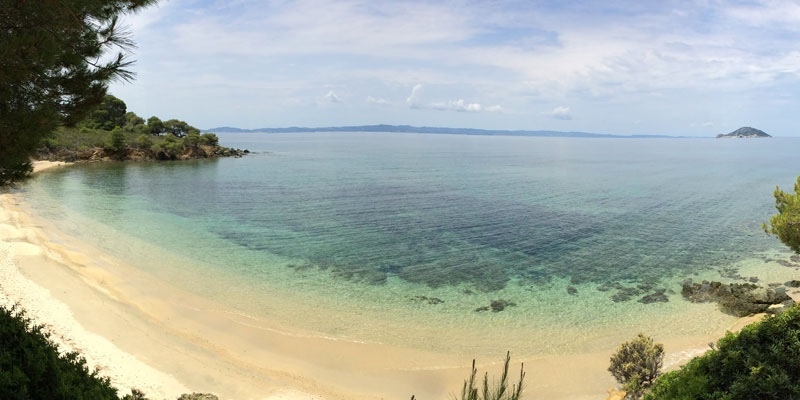 Since most guests of the hotel remain on the two resort beaches, these hidden beaches are usually deserted. No people so you may get your own private paradise beach. Need a car or bicycle to get to. Need to be a guest of the resort. From the marina, follow the road south along the coast. The first beach begins soon after Kohi beach. 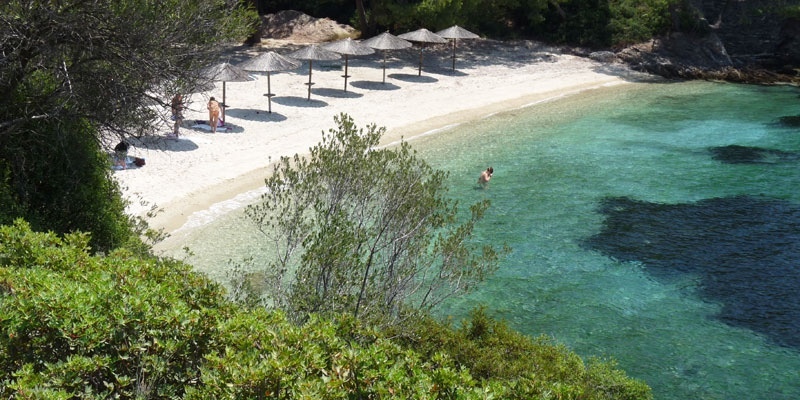 This is what you come to Sithonia for, perfect isolated coves - beach heaven!